Alas, your skin isn’t wine, so maturity does it no good. I don’t have to tell you what mature or aged skin looks like; bet you have all seen wrinkles, skin sagging, liver spots and other ungainly signs of maturing skin. Now, let me get one thing absolutely straight here – can you stave off skin ageing forever? NO! 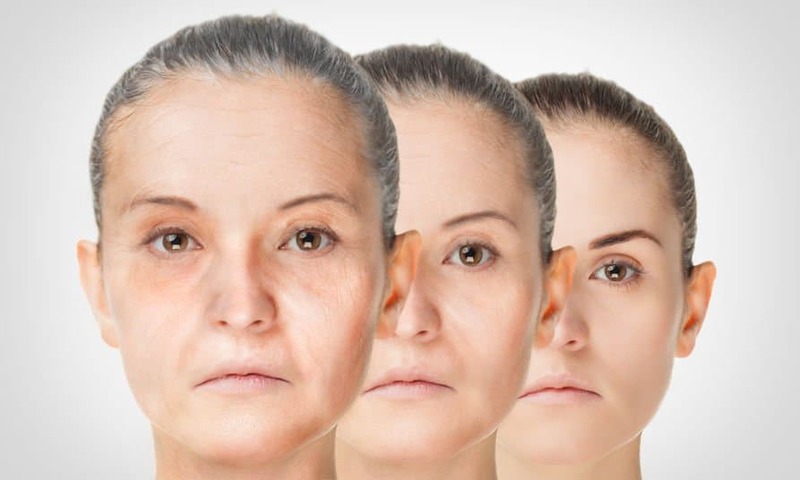 Unfortunately, researchers and scientists still have not found the mythical fountain of youth. So, is all lost the minute you spot that first fine line or worst yet the ungainly wrinkle? Not at all! Within reason, skin damage can be undone. Above all, if the situation looks bad, you can stop it in its tracks and prevent it from getting worse. That said, I am certainly not going to make the claims that you can regain the complexion and dermal flawlessness of your twenties. Not even a surgeon’s knife can get you there, let alone any topical interventions. However, it is possible to look the best for your age group and continue to freeze things where they are for a few years. Although prevention is the best, treatment is your next best option even if it is not a 100% cure! Now, before I tell you how you can stop your skin from turning into a wrinkly, sagging mess, let talk about the factors that aggravate the problems of mature skin. This is How You Go From A Few Fine Lines To A Face Full Of Unsightly Wrinkles And Hyperpigmentation! You may have noticed that men tend to develop the leathery, weathered look that women so dread, later in life. Attribute this to the natural masculine hormone testosterone. Of course, we have our own girly hormones, estrogen and progesterone. All three play an important role in reproduction as well as the skincare matrix. As the levels of these hormones start dwindling and ladies they do start plunging by the time you hit your forties and sometimes even before, your skin starts losing its natural defense system. The result is dryness and lack of moisturization. To make problems worse, there is the ever prevalent onslaught of free radicals, which causes a DNA level change in the dermal physiology. Add to this sun exposure and you get the most formidable enemy front that your skin has to face; one that pushes down the production of both collagen and elastin. These are the proteins that give your skin suppleness and elasticity. Finally, unlike guys, you don’t shave off your face. Of course, I am not asking you to do that but what the daily scraping does for a man’s skin is that it acts as a natural exfoliating act. You know what the big problem with us forty something women is? We tend to get set in our ways, be it the bra we have been wearing since we went from mosquito bites to va va vooms or the shade of lipstick that was hot twenty years ago to the skincare routine that worked when we were in our thirties. Unfortunately, your skin will have to pay the price for this resistance to change. Buying the first damn cleanser or serum that you come across which is sold with the declaration “for ageing skin” is not going to work. What you need is a routine that will help you on the four fronts mentioned above and you need to keep at it religiously. Remember sebum secretion dips as you age and get close to menopause. 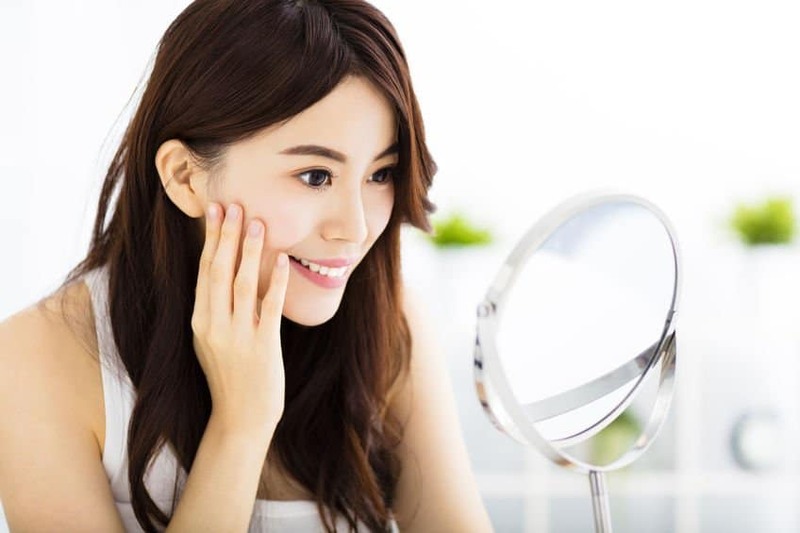 While some who have always had clear skin are shocked by the sudden appearance of zits, for most it is dermal dryness as opposed to hyper oiliness that poses a problem. Whichever way your skin decides to swing, start your day by giving it a firming wakeup call with this routine. You will need regular (black) tea frozen to ice cubes for this. Simply, fill two-three paper cups or an ice cube tray with the beverage and place in the freezer and by morning you will have enough for this unique procedure. In the morning, go ahead and brew yourself an infusion of either chamomile or rose petal or rosehip tea or if none of these herbs are available just go with regular green tea. Now, you may have heard celebrities swearing by facial ice dunking; this is a just a more beneficial way to do it. It will take about 10 minutes of your time in the morning, but I promise the results are so damn good that you will get addicted to it. Fill a large bowl, big enough to dunk your face in, with cold water. Put the tea ice cubes or popsicles in it. Fill another bowl with hot water (not steaming hot and not hot enough to burn) and add the chamomile infusion or green tea to it and soak a face cloth in it. Once you get the ice cold and hot water ready, tie your hair back and dunk your face in the ice cold tea. Hold it in there for 10 seconds and get your face out. Pat your face dry with soft tissue and now place the hot face cloth on it for 1 minute. Remove the cloth and dunk your face in the ice cold tea again. Repeat one more time and pat your face dry. Immediately, apply about 4-5 drops of your favorite skin oil and you will see large pores, puffiness and wrinkles almost disappearing. Once you are done with this, go about your chores as you normally do. You can use an exfoliator and/or a creamy cleanser, so that you can tackle cleansing and exfoliation at one go. This will work well for you if you have sensitive skin. For a homemade exfoliating medium, you can use sesame seed meal for sensitive skin. For mature yet oily skin, you should opt for a hydrating cleanser, preferably a product that contains fruit enzymes or alpha hydroxy acids and add used coffee ground to it. Rub your skin with the exfoliator in circular or upward strokes for about 1-2 minutes but do not exert too much pressure. You don’t want to scrub your skin raw. Wash the cleanser off your skin using room temperature water. Pat your skin dry with a soft towel and immediately apply a replenishing and hydrating toner. A product that contains healing floral waters as well as humectants such as squalene, urea, hyaluronic acid and glycerin will supply the dermal cells with fluids that will keep them plump and healthy. Apply the toner by spraying it on our skin (peepers closed of course) or you can use some cotton wool. Either way, you need to ensure that your skin gets thoroughly soaked in the replenishing fluid. Give the toner about 2 minutes to work on your face and neck and while your skin is in a semi dry state, go for the next step of the routine. As skin ageing creeps up on you, two of the most jarring complaints will be hyper pigmentation and under eye issues. Both of these call for spot treatment. For the liver spots or dark park patches, you can use a product that contains hydroquinone, a chemical that is often prescribed to treat melisma or chloasma. 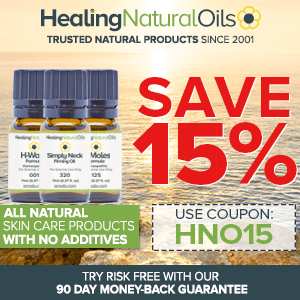 But, there are some serious side effects linked to the topical use of this ingredient. 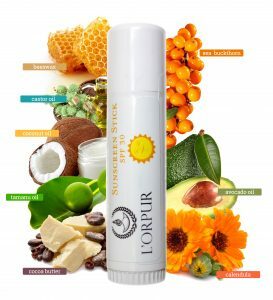 In fact, if you ever dare to venture out of your home without a generous slathering of sunscreen after using this chemical, you risk permanent and very dark pigmentation on the treated area. Plus, there is also talk about its carcinogenic effects. A better and safer approach is to use a product that contains licorice extract, mulberry extract and kojic acid. Of these, creams and serums with the first two ingredients can be used for general skin brightening. 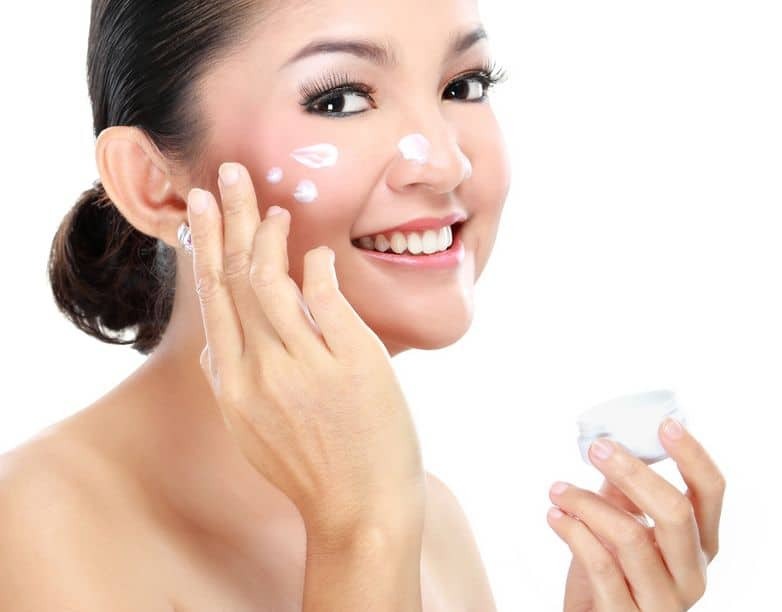 Kojic acid creams and lotions can only be used for a few weeks at a time. If you don’t suffer from general complexion dullness, go for extra strength preparations made from these ingredients and apply only on the dark spots or patches, right after toning. 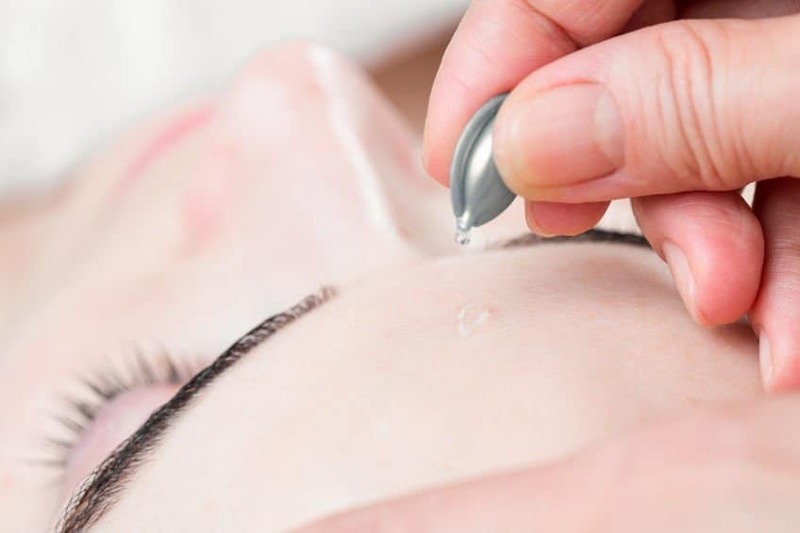 Eye creams should also go on before the serum/moisturizer and pick formulations that contain caffeine, hyaluronic acid, cucumber, essential oils, carrier oils, sea weed or aloe gel for hydration and to counter under eye shadows. 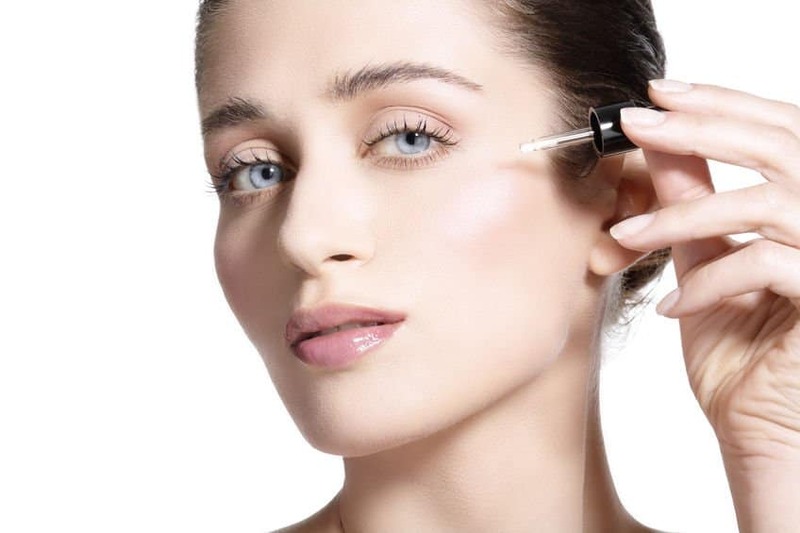 Apply the eye cream using inward strokes with your ring finger. Start at the outer corner of your eye and move inwards. If you have not heard about retinol/retinoids, you have probably been living in some other galaxy; they are literally that popular. 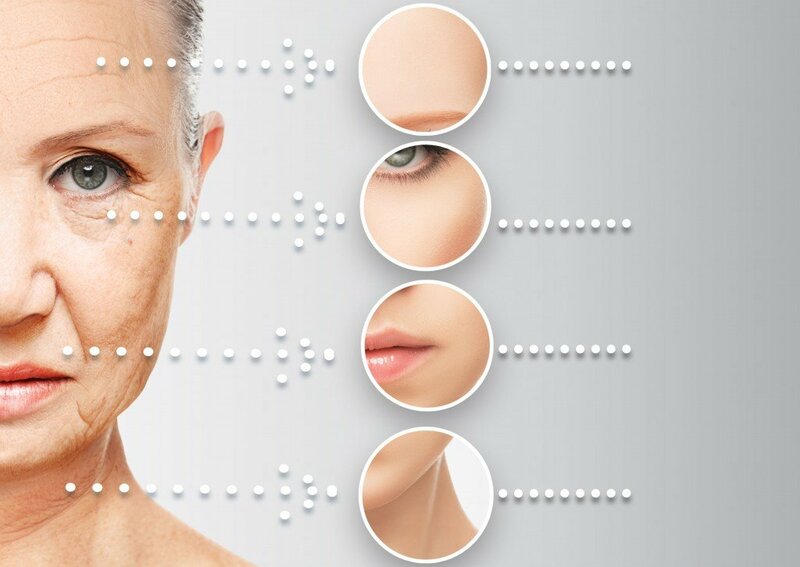 A form of vitamin A, retinol helps to boost the production of collagen and elastin, which takes a plunge as you age. This not only helps to smooth out fine lines but also enhances dermal elasticity. Unfortunately, OTC stuff is rarely concentrated enough to make a big difference. Prescription stuff is strong but does not suit those with sensitive or dry skin. Also, if you are already using any product that contains an ingredient which acts as a chemical exfoliant, such as alpha hydroxy acids, vitamin C, kojic acid, ferulic acid, etc, combining this product with retinol preparations will cause extreme dryness and possibly peeling and flaking. But, don’t pout in resignation as yet! One way to include retinol in your daily skincare routine is to use a serum that contains Retinol during the day, such as this one here and choose another active ingredient such as squalene for night use. Also, to prevent adverse effects gently ease your skin into daily retinol usage. Start using the product every alternate day and gradually work your way to one application/day. The serum should be used like any other. Apply a small amount (more is not better, really) all over your skin and allow it to work on your face and neck for about 10 minutes before going to the next step. We have already discussed that dehydration adds to the woes of age damaged skin and that a compromised lipid barrier is the main culprit that allows for this loss. So, one of the most important things that you can do for mature skin is to fortify the natural dermal defense mechanism. Moreover, if you have used an acid based serum of any kind, this will add to the fluid loss from the dermal layers. So, for your mature skin, you will need a moisturizer that contains both humectants and emollients like nourishing oils and plant butters. I know, you have already used a humectant rich toner but some more hydration never hurt anybody. Massage the moisturizer all over your face and neck, if you prefer you can use a roller, sonic or vibrating massager. The added stimulation increases blood circulation. So, your dermal layers get flooded in nutrients and antioxidants from the inside and outside. A 5-10 minute massage in the morning will keep your skin glowing through the day. So, you have shown your skin just how much you love it by using the very best products for your dermal type. Yet, your efforts will fail to yield the desired results if you don’t address the pressing issue of damage caused by sun exposure. 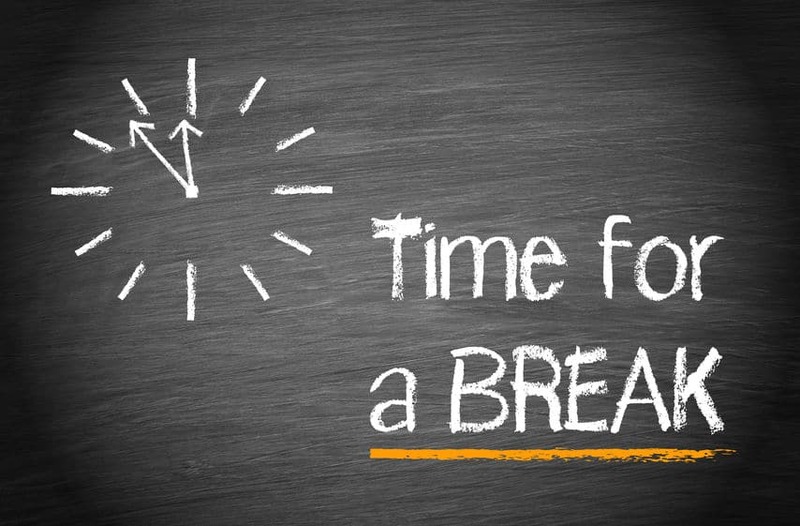 Nothing breaks down collagen and elastin fibers or speeds up the destruction of dermal cells like UV rays. Since your mature skin is likely to have suffered from years of sun damage already, you certainly don’t want to stress it out more. So, play it safe and use a sunscreen with SPF 30+. Did you know that the difference between an SPF 30 and an SPF 50 product is only 1% (SPF 30 blocks about 97% of UVB rays whereas SPF 50 approx. 98%). Plus, add to the protection factor by taking the old world route of using an umbrella or a wide brimmed hat. Believe me all the nay-sayers will have those frowns and smirks etched on their faces as the giant flaming ball in the sky takes its toll on their skin. You can keep it simply in the afternoon by simply spraying your replenishing toner or favorite anti-aging face hydrosol on your skin or applying it with the help of cotton pads. Make sure to dab your skin with the liquid soaked cotton pad instead of using a wiping motion. Wait for about a minute, which will get your skin to the semi dry state and apply your moisturizer just the way you did the toner, without any massage or skin stroking involved. The aim is to rejuvenate your skin, without messing up your foundation or concealer. A good serum/moisturizer would be a fluffy emulsion that offers both hydration and replenishes lipids. So, you want a bit of occlusive effect with major humectant benefits plus some antioxidants thrown in for good measure. 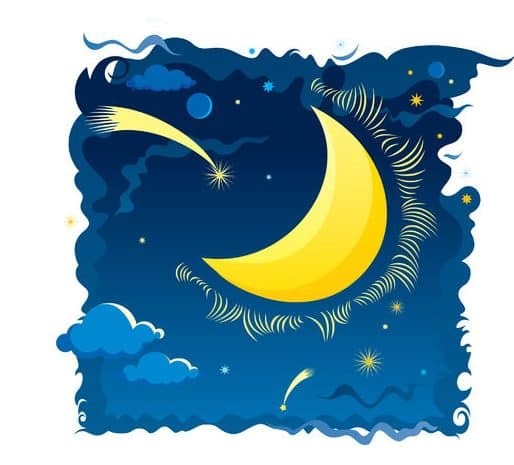 This is the time when you really pamper your skin because those dermal cells are going to be working through the night. So, they need all the nutrition and TLC they can get. End of the day skin cleansing is without a doubt more cumbersome since it involves the removal of makeup, then a wash and more. In fact, most find it so tedious that they end up going to bed with day old makeup and grime still on their face. I don’t have to tell you how disastrous the results are of such a lapse. Now, I can go on and on about how crucial it is to remove your makeup and thoroughly clean your skin at night but I am sure you have already read/heard all of that before. Instead, I am going to tell you how you can make your life easy. Have you heard of oil cleansing already? If not, it is time to learn about it and incorporate it into your skincare routine. All you are going to need is your favorite carrier oil, take your pick from sesame, hempseed, sweet almond, olive, pumpkin seed, rosehip seed, grapeseed oil or others. Mix in a few antioxidant essential oils like those of sage, rosemary and oregano, 1 drop each for a tablespoon of carrier oil. If you want more bang for your buck, put together flaxseed and mustard seed meal in 3:1 proportion. Do not mix this with the oil blend but store it in a separate, airtight container in a cool and dry place. To cleanse your skin, start by using the pure carrier oil on your peepers. This will take care of the eyeliner, mascara and eye shadow. Remove with damp cotton wool. Next, mix the oil blend and the oil seed meal to form a paste and apply all over your face and neck using circular strokes, just don’t get too close to the lash lines. This is gentle exfoliation and antioxidant power at its best. Massage your skin with the lipid and seed meal blend for about 5 minutes. Then, wash your face off with warm water and a final splashing of cold water. Pat your skin dry and go to the next step. You can use the same humectant rich, replenishing and hydrating toner you did in the morning or opt for another one with soothing floral hydrosols. A combination of lavender and rose floral waters or neroli and jasmine will prep your skin for further treatment. Again, apply with cotton wool soaked in the hydrosol or toner or spray the liquid on your skin using a spritzer. If you have used retinol in the morning, now it is time to open up the royal buffet for your skin in the form of a nourishing skin serum. Look for vitamins that not only help in the process of skin healing but also increase the rate of cellular regeneration. So, choose serum formulations that combine vitamin C, B6, E, K with amino acids, ceramides, sea weed or gotu kola extract, turmeric, rosewood, cypress or helichrysum essential oils. These ingredients will not only supply the dermal cells with all the nutrients they need but will offer protection from oxidative stress and metabolic toxins. To use the serum, smooth it all over your skin using upward strokes. Do not rub too hard or for too long. Because most serums get absorbed quickly, the more time you spend rubbing them on your face, the greater will be the chances of losing half the quantity on the skin of your palms. Finally, coat your face and neck with an occlusive agent that will form a protective barrier on the surface of your skin and prevent the loss of moisture. No, you don’t have to use mineral oil, beeswax or petroleum jelly. Instead, pick a product that contains soothing carrier oils like those of almond, evening primrose, sea buckthorn, rosehip, argan, macadamia nut, Shea butter, jojoba oil and others. A rich skin cream or a face oil will be well suited for this last step of your skincare routine. Massage the formulation into your skin for about 10 minutes. Once again, go ahead and use the roller ball or vibrating massager to minimize the loss of the active ingredients. Ideally, this should be done about 30-45 minutes before bed time. Before you call it a day, use damp cotton wool to remove the excess lipids from around eyes. Simply press the cotton pad on the skin around the eyes and lift without actually wiping off the skin oil / moisturizer. All those lines and wrinkles are a testament to the fact that your skin has taken a sound beating for several years, both from internal and external factors. So, you will need to go the extra mile to pamper it. And what better way to do just that than a facial? No, you don’t have to spend a bundle on salon treatments, as long as you have face masks that suit your skin handy. First up should be a mask that will infuse the dermal cells with healing minerals, get the blood supply going and tighten the sag. Pick a product that is 100% natural and does not contain added preservatives, color and fragrances (yes they do exist). Apply in a thick coat all over the face and neck, save the area around the eyes and give it about 15 minutes to show its benefits. It is important to not let the mask dry completely on your skin because this will pull out the hydration from the skin cells and as it crack, the pulling effect may cause micro tears. To get more bang for your buck and time, remove the mask by using warm water infused with green tea. In the middle of the week, go for an antioxidant and hydrating mask, preferably a product that contains fruit enzymes that will boost cellular regeneration and refine the pores. Finally, at the end of the week, use a moisturizing mask. You can take your pick from sheet masks, “all night” oil masks or liquid paraffin masks. Once every two weeks, do not forget to use facial steaming before the mask treatment, this is a quick and surefire way to hydrate the dermal layers. 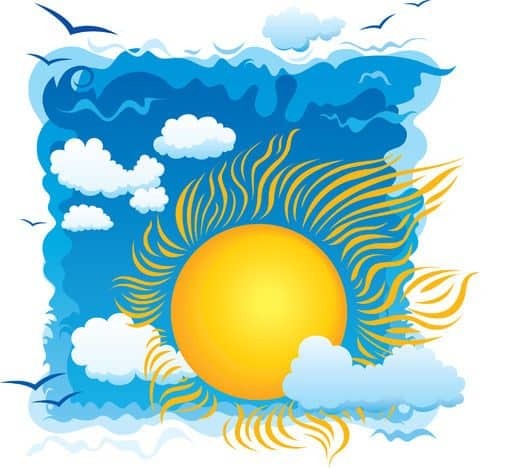 If you tend to spend a lot of time outdoors in summer, even with the diligent use of sunscreen, you may suffer from dermal dehydration and inflammation. To counter these damaging effects of the hot sun and the sweltering weather, use aloe gel or a mask made by soaking oatmeal in almond milk every alternate day or when you have spent a significant amount of time out and about. Because the humidity and the heat causes excess sweating, summers are notorious for sudden bouts of acne. A cleanser that contains alpha hydroxy acid will keep your pores free from dead cells and grime and pimples at bay, use it every alternate day if you have a mild to moderate problem with acne. For winter, switch to intense moisturization if you have mature skin. Amp up your skincare by using a super hydrating and moisturizing balm instead of a fluffy cream. Balms often have enough occlusive power to keep frigid temperatures from harming your skin. If you don’t have acne prone skin, you may want to try phasing out your regular cleanser and using oil for cleansing, in the morning and at night. If you are not comfortable with this, at least switch to a creamier cleansing formulation. Also, start using a facial oil or a creamy moisturizer on top of your regular summer time skin serum/moisturizer, during the day. As you get to the point where Aunt Flo is gets ready to bid farewell, you will find your skin getting drier and more erratic. Unfortunately, every woman has a different response to the drop in estrogen levels that signals the start of the menopausal phase. So, you will have to tailor your skincare routine to meet the specific issues that you may have. For instance, if acne is a problem, start using a BHA fuelled cleanser every alternate day. 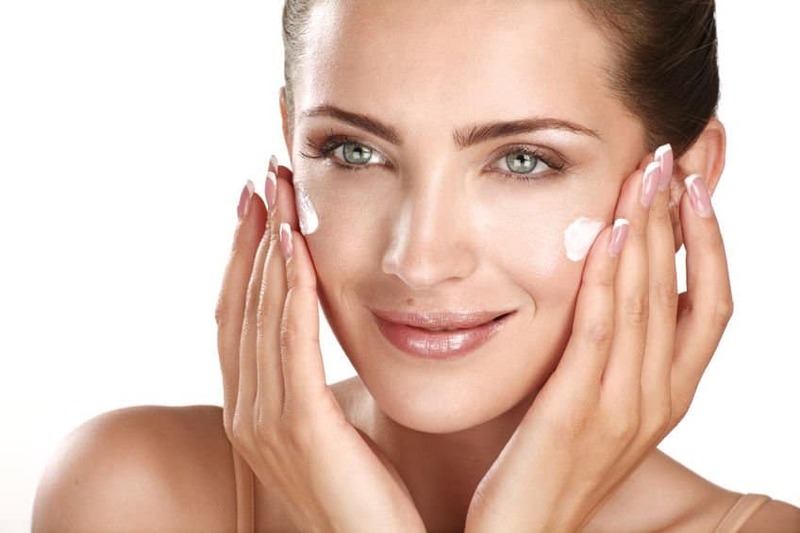 Chances are that you may already be using a serum or cream that contains retinol or vitamin C. In both cases, counter the natural dryness that is caused by the hormonal fluctuations as well as the dehydration brought on by the use of these ingredients by using a rich skin cream or facial oil on top of the serum. Plant butters such as those of cocoa, shea, mango and kokum are exceptionally effective on mature skin. In conclusion, remember that you can use the most expensive and effective skincare products known to mankind but the results they offer will be dismal if you don’t know your skin type and make healthy lifestyle changes/choices. Workouts and healthy eating really do go a long way in keeping your skin youthful. Thank you for your reply! If I’ve got the moisturizer that contains salicylic acid, should I avoid using the cleanser that also contains it? Salicylic acid has many benefits, but some people may be sensitive to it. For those people, their skin may become thin and dry over prolonged use of cosmetics containing it. Unless you are experiencing the issues noted above, I would not change your routine too much, except perhaps use the cleanser containing it once a day or once every two days. It really is not too much. Sure it is. Looking after one’s skin takes time and requires patience. One simple thing to do morning and evening is using a serum or moisturizer or if your wife prefers a non-creamy product, a face oil. Please note that the above is not a skincare routine, it is simply applying a product on skin.